How to Lose Weight in 3 Months Without Going to the Gym? You cannot lose weight overnight. You need to work hard for it. To lose weight, you should burn more calories than what you consume. It is safe to reduce one to two pounds of weight in one week which will effectively help in losing weight. If you follow a well-balanced diet and a proper exercise routine, you can reduce up to 24 pounds of weight in just three months. It is often believed that you should be regular in the gym to burn up your extra calories, but this may not be possible for everyone. This kind of people wish to know how to Lose Weight without Going to the Gym? Yes, there are certain steps by following which you can effectively lose your extra weight. You may not require to join the gym to lose weight. There are many ways by following which you can lose weight in just three months without joining the gym. But be sure that you are firm in your decision. One of the most effective ways to lose weight is to change your diet. Cut down 500 calories from your diet. Avoid eating foods rich in fats such as candies, cookies, chips, etc. These are low in nutrition. Eat many vegetables and fruits. Drink plenty of water about eight to ten glasses. Include some lean protein and whole grain in your diet. Divide your meals into five or six small servings. If you consume a small portion of meals more often like five to six a day will improve your metabolism and give you feeling of fullness throughout the day. You can have healthy snacks such as vegetables and hummus or even low fat yogurt with bananas. Do a lot of cardio exercises to burn up the extra fat and calories. The Centre for Disease Control suggests that you should do cardio for about 60 to 90 minutes for five days every week. You can do bicycling or even some running as a part of your cardiovascular exercise. You can also buy some equipment for yourself like treadmills or stationary bike so that you can do these cardiovascular exercises at your home only. You can practice resistance training for three days every week. It will help you to build up the lean muscle. More muscles will help you to burn calories. To do this, you can use dumbbells or even resistance bands. You can also do some bodyweight exercise if you don’t have resistance bands. To lose more weight, you can do no-equipment workouts such as squats, push-ups, lunges, sit-ups, etc. Note: If you’re involved in rigorous training, take rest for a day in between to let your muscles repair again. Before starting off the exercise routine, consult with your healthcare professional. You should also consult him if you are suffering from any chronic disease or if you are just beginning it for the first time. If you are on a strict diet, like the gym goers, you should treat yourself with a cheat day too. If you lower down these foods, your body may have some counter-effects. HuffPost states that studies have shown that depriving yourself of food can increase the urge and cause overeating. This is something all know, drinking a lot of water can help to lose weight. Hunger and thirst are controlled by the same part of the brain this is why most of the time when you are thirsty, you feel as if you are hungry. Therefore in such conditions, drink water and let the confusion go. Wait for 15-20 minutes after drinking water to see if your hunger vanishes away or not. As per the study shared by Time, you can lose weight if you drink 16 ounces of water before each meal. Meditation can help support in losing weight. It relaxes your mind and makes body chemically stables. Hormonal imbalance of the body makes you either too fat or too skinny. Meditation helps you to get back the hormonal balance and help you to lose weight. Laughter is also one of those medicines for weight loss. It has been found that laughing for 10 to 15 minutes can help you to burn up 40 calories. Tabata workout can also help to lose weight. To practice this, chose four total-body moves such as jump squats, plank jacks, etc. Exercise one Tabata move for 20 seconds and take rest for another 10 seconds and repeat. Continue doing it and then move on to the next. The whole workout is four minutes long and can help you to burn up 13 1/2 calories as stated by the research of Auburn University, Alabama. Dancing requires continuous body movements making you lose the extra fat. It helps you to burn more calories compared to running, swimming and even bicycling. You can lose 200 to 600 calories just by dancing for one hour. It will also slow down the aging process and improve your flexibility and make you strong. You should get the adequate amount of sleep to lose weight. Lack of sleep increases hunger hormones and reduces satiety hormone, leptin. If you are deprived of sleep, you tend to eat more calorie-rich foods. Therefore, get proper sleep and reduce weight without going to the gym. A protein-rich breakfast can improve your energy level. It will also help in burning up extra calories. As per a study from the University of Missouri, breakfasts rich in protein can keep you full for a long time which will make you eat less in the afternoon in comparison to breakfast low in protein with the same amount of calories. Dark, black coffee can help a lot to lose weight. It saves 500 calories every week. It is also beneficial for lowering the risk of diabetes, insulin resistance, and other metabolic diseases. You should avoid Drinking black coffee every day with added calories like sugar, cream, syrup as it can hinder your weight loss. Salads are always a better option over fries. Even in burgers, take out the salads and eat it. 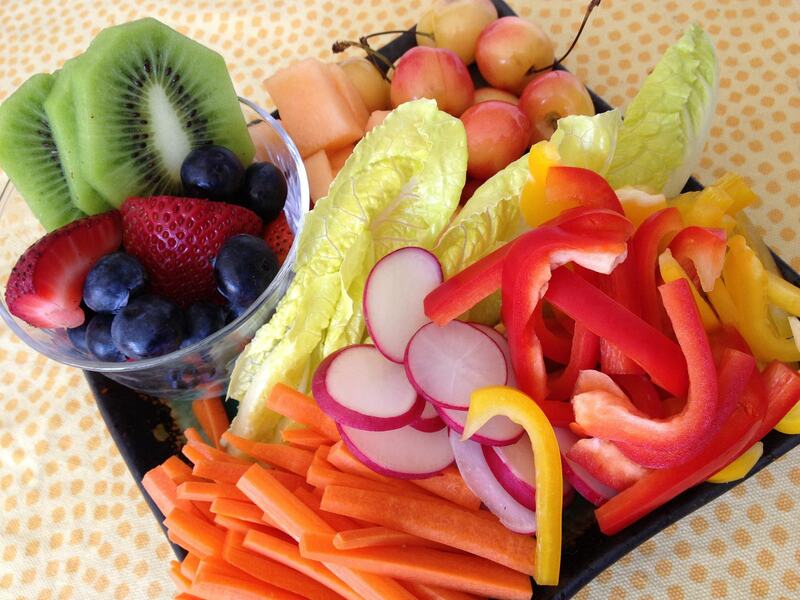 You can save up to 150 calories by eating vegetables rich in fiber. They are also helpful for improving the digestive health. When you’re out at a restaurant for eating, prefer eating only half the meal you order. Ask your waiter to pack the other half so that you can carry it. 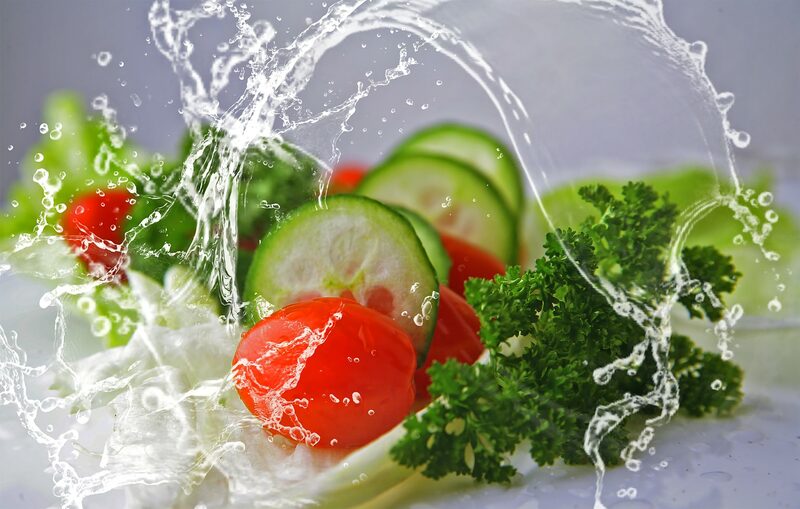 As per a study the dishes in Chinese, Italian and American restaurants contain about 1500 calories, so if you eat half of it, you can save up 750 calories. You are likely to burn up thrice the calories if you walk for 15 minutes while walking compared to that during sitting according to a study by the Journal of Physical Activity and Health. They also help to enhance digestion. Always make sure that your freezer is stocked with nutritious foods like frozen fruits, vegetables, and protein. This will help you to avoid unhealthy meals. Fried foods can increase your calorie intake, especially the deep fried ones. Therefore, you should make sure to avoid these fried foods and eat salads. It will save up 150 calories. Too much stress can also cause weight gain. Find out what stresses you, and try to reduce it. In this way, you can lose a lot of weight. Stress can inhibit your weight loss process. While you’re enjoying your holidays, stand up and move around while commercials. As per the research by Mayoclinic this can help you to reduce about 350 calories throughout the day. This can also lessen the side effects caused by sitting too long. Diet foods are the strategies used by marketers to make people aware that it can help them lose weight. So, they can buy diet foods believing that these diet foods will burn up their fat and help them attain a proper body. However, this does not happen. The diet foods are loaded with artificial sugars such as sucralose and aspartame. These artificial sugars induce the sweet receptors and increase the cravings for more. If you make your lunch, you will be able to reduce the calories. Healthy lunches can help you a lot in reducing the extra 600 calories from your meal. This will thus help you in losing weight at a faster rate. One of the most efficient ways of losing weight is to reduce sugar intake. Excessive sugar consumption can lead to weight gain. These simple carbohydrates aren’t very nutritious. Therefore they will make you hungry soon. Take a break from everything you’re doing and walk up and down on the stairs for at least 10 minutes each day. Mike Donavanik suggests that by doing so, you can lose 100 calories. The level of stress might as well decrease. The cramping would become low too. However, to burn up more calories, you should prefer to run up and down on the stairs. This way you will burn more calories at the same time. You should always prefer to avoid eating in one go if you wish to lose weight. Often it happens that people think about their work during lunch breaks and end up eating more calories. Therefore, to avoid such conditions, you should rehearse yourself before the lunch breaks. This way you will lose more weight even without going to the gym. Many people workout for 30 minutes and do not get the effective results, while some do it for 10 minutes and notice the effective changes. According to the author of Dr. Jordan Metzl’s Workout Prescription, Dr. Jordan Metlz, an intense workout for 10 minutes can help to boost up your metabolism as efficiently as a moderate intensity workout of 20-30 minutes. If you cannot get 10 minutes, you can even prefer to do an intense hard workout for less time. As per a 2013 study of Colorado State University, if you do high-intensity workout for even two and a half minutes, you can burn up extra 200 calories for a day. Studies have stated that people consuming high protein vegetarian meal consume 12% fewer calories during their next meal, compared to non-vegetarians. Potatoes contain potassium and fiber. However, compared to the white potatoes, sweet potatoes are highly nutritious which makes them a more appropriate choice. One large sweet potato is filled with 4 grams of satiety boosting protein and has 25 percent of the fiber which can fill up your belly. It also has 11 times more the daily recommended value of vitamin A. While white potatoes have more than 250 calories, sweet potatoes contain less than 200 calories. This may help you a lot in reducing weight. Smaller dishes would imply small servings, thereby making you eat less. You can even confuse your brain by filling up your small plate. The brain would think that you are eating more calories as that of the larger dishes. Studies have proved that eggs keep you filled for the day and also provides very fewer calories. Therefore, it can be said that they help a lot to lose weight. One hard-boiled egg is full of proteins and contains very fewer carbs. They are also rich in amino acids, healthy fats, and antioxidants. Nuts contain MUFA which will help you to lose weight. It will reduce your cravings and keep you full throughout the day. You can always choose to eat nuts like almonds, walnuts, and other nuts to lose weight. They contain very fewer carbs and high fiber. As per the study of The Journal of Nutrition, If you consume almonds with your main meals it can help you lower some signs of oxidative damage. This will, in turn, improve your overall health. You can avoid taking too many calories by serving yourself. As per USC researcher, you can avoid eating unhealthy foods if you serve yourself instead of someone else serving you. Outdoor activities can also help to reduce weight. Hiking is one of those outdoor activities which can be helpful. The outdoor activities will make you stress-free and also lower your depression. You will be surrounded by nature always. Less stress would mean improve your mood and help to reduce weight. It has been found by a study of the American Council on Exercise that casual clothing compared to traditional clothing helps to enhance the level of physical activities in your body. Researchers have stated that wearing casual clothes just once a week can help you to lose 6250 calories in a year. Fast foods are not good for health, and it can cause weight gain. However, if you eat it quickly, you can have side effects too. Stomach takes 20 minutes to notify the brain that you are full. So chat during your meals and try to extend it for up to 20 minutes. You do not need to keep up with the latest trend in food to lose weight. Instead of continuously changing your meals, choose to stick to one meal recipe. It should be low in calories as well as healthy and nutritious. Remember to carry with yourself, chopped vegetables. According to the research published in PLOS Medicine journal, you can lose more weight by eating high fiber vegetables compared to those of low fiber vegetables. These vegetables are also full of essential antioxidant and anti-inflammatory property. When preparing food, choose to cook them with virgin olive oil if you are looking forward to shedding off extra pounds. Instead of canola and soybean oil, you can try to replace it with olive oil. Olive oil contains oleic acid which suppresses your appetite thereby helping in losing weight. Take out some time from your hectic schedule and keep yourself happy. Compared to the alcoholic drinks, wine is very helpful if you drink it in moderate amounts. However, you should refrain from drinking alcohol and try to keep yourself happy even without those happy hours. Too many carbs often lead to weight gain. Instead of bread, try to indulge more into salads. Before ordering yourself a bread basket choose to munch on the nuts. The fibers in nuts will keep you full for a long time, so you be able to avoid eating bread. De-stressing and calming yourself is pretty necessary. As per a study of Molecular Psychiatry, you are likely to gain weight by stressing out. Stress hormone cortisol restores the fat and increases your cravings for high-calorie food. So, get some free time for a hot bubble bath and relax yourself down. Zucchini noodles or zoodles can help to lose weight. It is more beneficial compared to pasta. Two cups of pasta have 480 calories, 90 grams of carbs and 2 grams of fibers while two cups of zucchini noodles have 66 calories, 12 grams of carbs and 4 grams of fiber. Therefore, you can choose zucchini noodles over spaghetti. Always being on the desk throughout the day can be bad for your health. To burn up the extra calories, prefer to do your work while standing at the desk. According to researchers, you will lose about 54 calories if you stand for 6 hours each day. Following the portion, control rule can help you to save about 100 calories in the long term. Rather than larger cups of latte, prefer drinking it in moderate amounts. Order yourself a small portion of the latte. It will save up nearly 150 calories. As per a study by the European Journal of Nutrition, participants consuming full-fat diet had less weight and also gained very few weight compared to the ones who did not. Experts suggest that the nonfat foods aren’t satisfactory enough as it has low fats. The fats take time to be digested which keeps you full for a long time. While some fat-free foods are made with artificial ingredients that may increase your waist instead of decreasing it. However, this does not imply that you should start eating excess fats. It has been found by studies that men may be at risk of overeating in social functions, parties, and events. So, if you are looking forward to losing weight, you should cut down on the number of your social gathering visits. However, it is not at all suggested that you should socialize any less. The relation between watching TV and obesity was developed about 25 years ago. From then, more research is being done to determine how spending time in front of the screen can cause obesity. We often are at risk of overeating while surfing the internet or watching TV because it can distract us from our meals. A Harvard study discovered that people often overeat and consume more calories during their meals while surfing the internet or watching TV. Therefore, experts suggest that while having meals, it is better to focus on the meals rather than spending time in front of the screen. It will not only keep you full but also prevent the risk of overeating. If you are on an empty stomach, your body will enter the starvation mode and induce hunger hormones. This may increase the chance of overeating and cause weight gain. So in the middle, you should have some snacks to avoid the risk of overeating. Beans help to regulate the blood sugar level and also promotes the feeling of fullness. These help to lose weight. Kidney beans are loaded with fiber which makes them beneficial for losing weight. As per a study in The American Journal of Clinical Nutrition, eating one serving of peas, beans and lentils can help you to reduce weight. Lemons are known to be very effective in helping you shed some pounds. It has polyphenols which help to prevent fat from being accumulated. Also, the vitamin C of lemons lower cortisol level and stress, which also helps in losing weight. The color of food, as well as dishware, actually help in estimating how much you eat. According to a recent study by Cornell University, you will likely add more food to your plate if the color of dishware and food matches. If you aim at losing weight, eat in high contrast plates. Tea has fewer calories compared to other coffee like drinks which contain added milk and sugar. 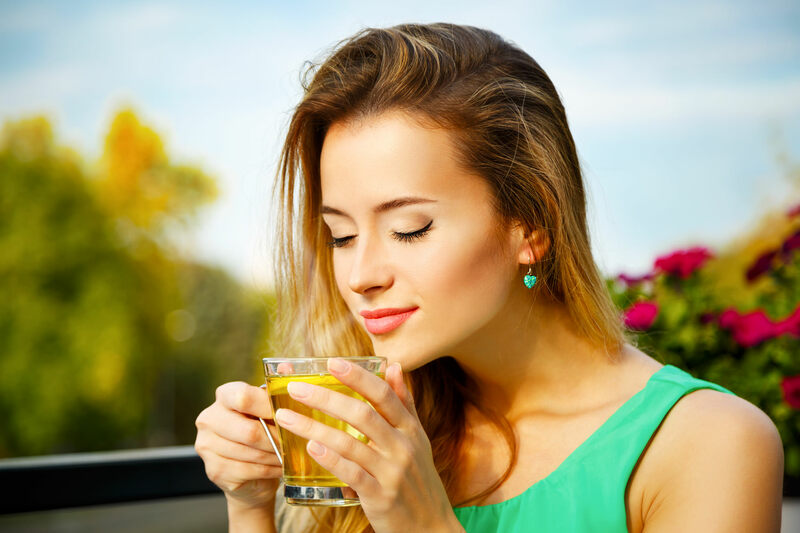 The different varieties of tea can also help to lose weight. Mint suppresses your appetite thereby helping you to eat less and lose weight. As per the reports of University of Maryland Medical Center, peppermint calms the muscles of the stomach. It also helps to improve the flow of bile there inducing easy digestion of fats. Although you may think that skipping breakfast can help to lose weight, you should never miss it. If you skip your breakfast, you will eat more calories during the daytime. If you eat too many calories in later parts of the day, you will gain weight. Instead of skipping breakfasts, try having a larger breakfast and small dinner. The gym isn’t the only key to reduce weight, and there are certainly other steps too which you should follow to get rid of the problem. One of the key factors for losing weight efficiently is self-control. You need to have control over your cravings and others to lose weight. You should also spare some time for your self and workout for a while to lose weight. All of it will bear fruitful results. Make sure to follow the steps mentioned above, if you are looking out for How to Lose Weight without Going to the Gym?